It appears that Royal Caribbean is beginning to charge guests for rides on some of its signature attractions onboard Quantum of the Seas. Guests on Quantum of the Seas will now be charged $20 for a ride on North Star or $26 for a 1 minute Ripcord by iFly flight. Quantum of the Seas, the cruise line's first Quantum class cruise ship, is offering cruises in Asia and Australia and is now charging for rides made in advance via the Cruise Planner web site. Rides on North Star and Ripcord had been complimentary until now on all Quantum class ships. There is no indication of a pricing change for these experiences on sister ship Anthem of the Seas. 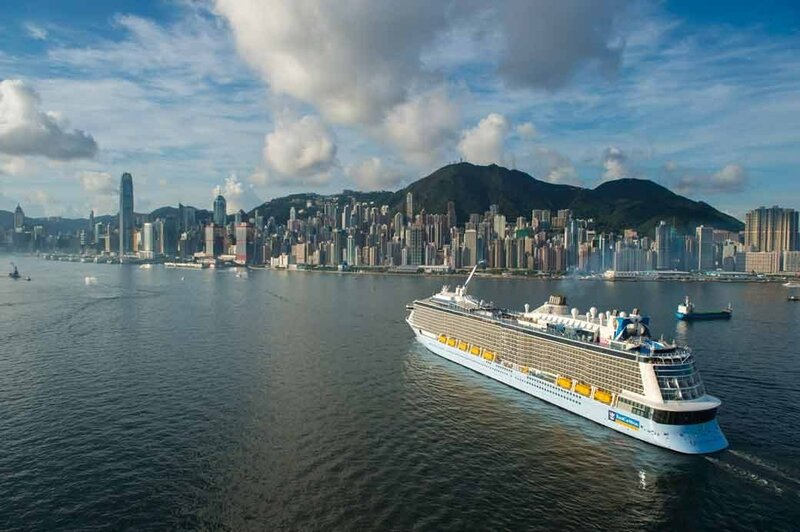 Royal Caribbean's North Star takes guests in an observation pod 300 feet above sea level for amazing views of the area around the ship. RipCord by iFly is a skydiving simulator that allows guests to get the sensation of skydiving without the incredible risk of jumping out of a perfectly good airplane. It is not clear yet if the change to charge for these experiences is a test or a permanent change. In addition, it is unknown if guests that opt to skip advanced reservations and wait in a standby line will also be charged for the experience. Would you pay extra to reserve a spot on North Star or Ripcord? Share your thoughts in the comments! 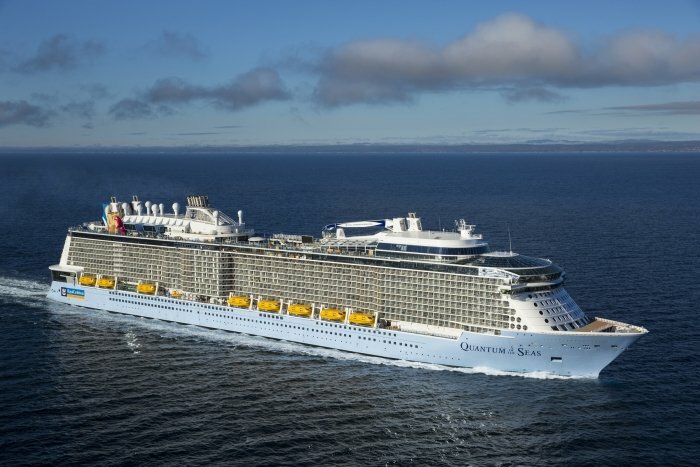 About 300 passengers from Royal Caribbean's Quantum of the Seas had to be forcibly removed because they were upset about an itinerary change. 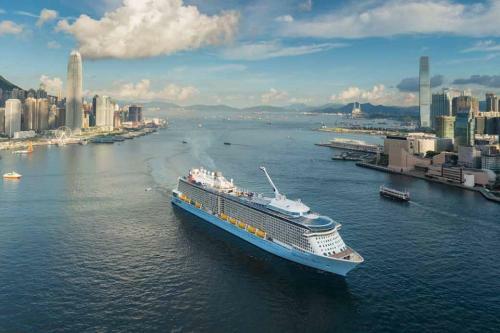 Quantum of the Seas was slated to make stops in three Japanese cities, but concerns about Typhoon Goni forced the ship to make stops in South Korea instead. The passengers were upset about the change and wanted to receive compensation for the change in their route. 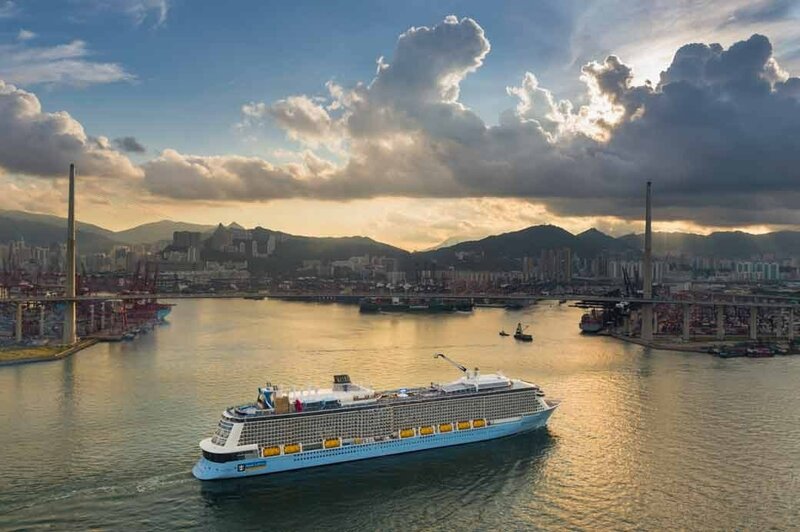 When Quantum of the Seas returned to the Wusongkou International Cruise Terminal in Baoshan District, the angry passengers refused to disembark until 1pm, when the final few were removed by crew members. Royal Caribbean had given passengers free Wi-Fi and lobster dinners during the voyage to try to make up for the change. 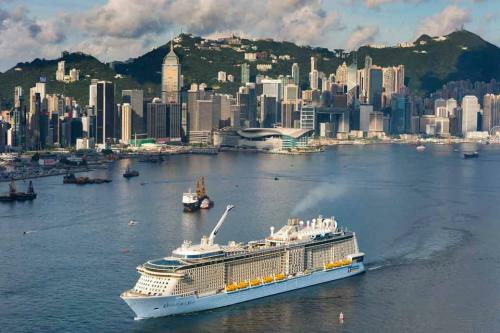 Royal Caribbean took the upset passengers to a nearby hotel, where negotiations reconvened. 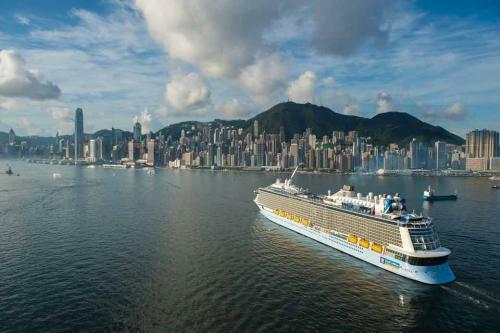 Royal Caribbean said it was willing to communicate with tourists based on international and Chinese regulations. However, it said it would not accept “irrational and illegal behavior,” including threats affecting other tourists’ vacation. Royal Caribbean's Anthem of the Seas features two glass enclosures for either side of the ship's upper-deck pool, patio and bar area that was made by OpenAire and it has become a popular spot on the ship. The retractable roof retracts into a central core and wall panels that slide down to railing height that allows the space to go from indoor to outdoor easily and quickly. When it's cold outside or the weather does not cooperate, both of these 3,706-square-foot structures close automatically and silently, letting guests continue enjoying all of the ship’s amenities. The design has brought extremely positive reviews for both Anthem of the Seas and OpenAire. 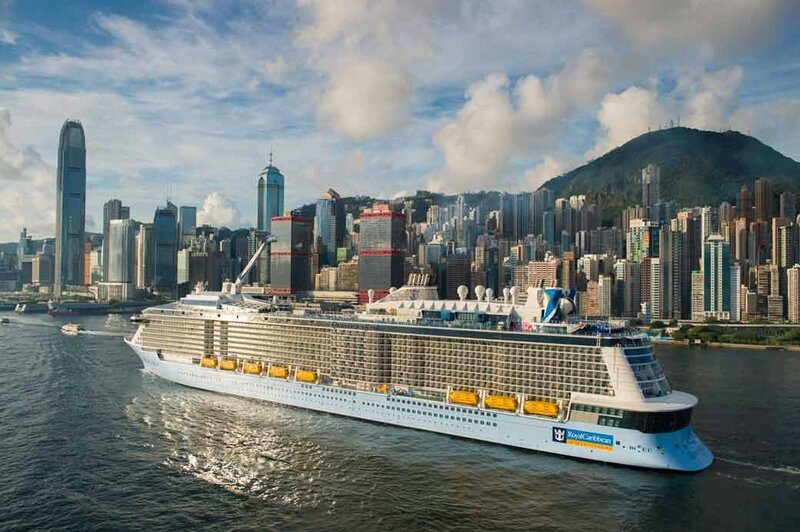 Anthem of the Seas is the second collaboration between Royal Caribbean and OpenAire. OpenAire created a similar retractable roof for sister ship Quantum of the Seas. The work done on Quantum of the Seas made the work on Anthem of the Seas much easier. 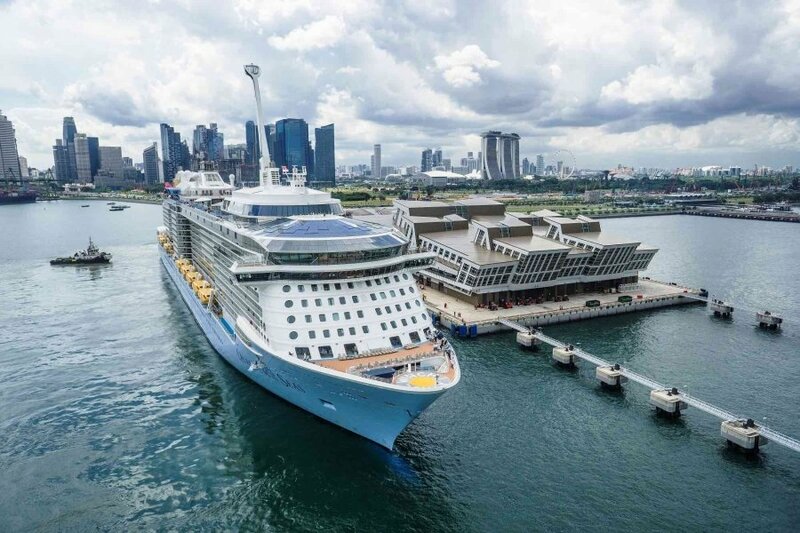 The retractable roof will also create significant future operational savings for Royal Caribbean, as the thermally-broken aluminum framing is maintenance-free and resistant to corrosion caused by an outside atmosphere of salt air and the moist chemical aquatic inside environment. By allowing the ocean’s sunshine and breezes into the pool area, it also reduces HVAC energy use by 27% compared to a traditional enclosure. OpenAire will complete work on a retractable enclosure for Royal Caribbean’s upcoming Ovation of the Seas ship this fall. 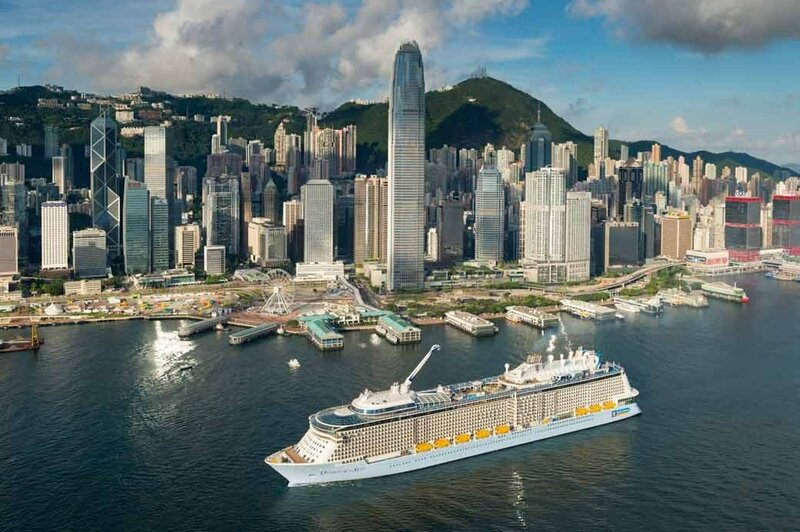 Royal Caribbean has nearly completed updates to Quantum of the Seas that will better suit her for her role in offering cruises in China. Since arriving in Shanghai back on June 24, the ship had some venues and areas of the ship changed to better accomodate the Chinese guests that will be sailing on her. Mamma Mia! was replaced with a one-hour show called "Sequins and Feathers"
Royal Caribbean director of revitalization operations, Fabien Teissonniere, estimates that 95 percent of the changes to Quantum of the Seas for the Chinese cruise market is complete and a few more changes will be made later this year or in early 2016. Royal Caribbean has opened a brand new noodle shop aboard Quantum of the Seas that is themed to the hit DreamWorks Animation film "Kung Fu Panda". The Kung Fu Panda Noodle Shop is a new family eatery on Quantum of the Seas and its introduction coincides with the ship's arrival in China. The Kung Fu Panda Noodle Shop will offer guests four-piece dim sum, noodle bowls, such as Taiwanese spicy beef noodles, and desserts including sesame balls and custard tart. Guests also can strike a pose with Po and the Furious Five for a keepsake picture. Menu items are priced a la carte, ranging from $2 to $5. Royal Caribbean Vice President, Food and Beverage, John Suley commented, "We’re very excited to continue building on our relationship with DreamWorks Animation and offer our guests new dining experiences onboard Quantum of the Seas as she debuts in her new home in China. A creative collaboration amongst our team of chefs to create the menu for our Kung Fu Panda Noodle Shop is another example of how we continue to ensure that our on board options reflect what today’s food-conscious traveler and our Chinese guests expect from their vacation." 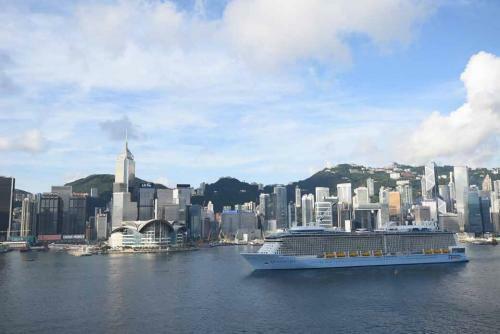 Royal Caribbean's Quantum of the Seas arrived in Shanghai (Baoshan), China today, which will be her new homeport. 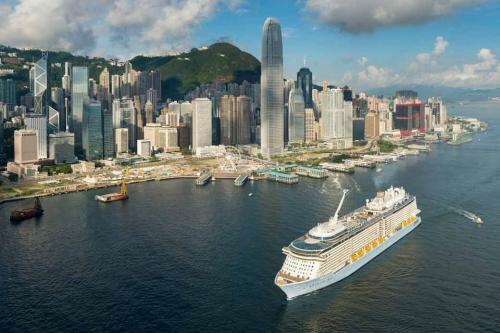 Quantum of the Seas will offer three- to eight-night, roundtrip cruises, year-round from Shanghai to North Asia destinations. Chinese officials from the port authority from Baoshan district together with executives from Royal Caribbean joined the welcome ceremony for Global Odyssey guests at Wusong International Cruise Terminal this morning. Quantum of the Seas's arrival completes a 53-night global odyssey cruise from New York that took the ship to the Atlantic Ocean, Mediterranean Sea, Indian Ocean and finally, China. Royal Caribbean President and CEO, Michael Bayley, spoke about the impact of Quantum of the Seas' arrival, "Chinese consumers have grown to expect the best the world has to offer, and Quantum of the Seas meets that standard like no other ship – this is a cruise from the future, The addition of Quantum of the Seas has increased our brand’s capacity to the highest ever in the region. There is incredible potential in the Chinese market, and bringing our newest and most technologically advanced ship to China will cement our leadership position in the area."